Looking at the general map it’s clear that ASO choosed to avoid the North (already visited a lot last year to be fair) and the West, with the latter that is a bit forgotten, above all Aquitaine and Poitou-Charentes. From this awesome map made by Roue Libre we can see that the Grande Boucle didn’t visit a lot the central regions, Alsace, and Aquitaine in the last 6 years (from 2013 to 2018), while turned around the Alps a lot. This is obvious as the sporting interest is still the most important one and Gouvenou answered the critics in good way, comparing the 1969 and 2019 maps. This said, it’s true that the Tour changed a lot the dynamics of its route (as showed in this fantastic work of Le Monde) and that they should try to make the most of the options of regions like Normandy, Brittany, or the Ardennes. Talking about the next edition, it has some really good medium mountain stages in the first week, I would say it slightly remind a Giro and this is good. It’s clear that the recent huge problems of the biggest race in the calendar didn’t only come from the fight for the general classification, but also from some soporific and “fixed” (meaning that the sprinters teams decide who can go in the break, usually the small teams, while the ones interested in the GC, even only for a top 10, don’t try anything), so the organizers decided to put short climbs near the finishes or some interesting rolling terrain. Other good things are that they rediscovered two long and high climbs in the Alps like Iseran and Val Thorens and the 7 ascents above 2000 meters of altitude, but unfortunately these are the only positive aspects. Stupid short stages (I have to say that 7/21 over 200 km is a pretty good number, even if there is not a >235 km marathon), ridiculous amount of ITT (for historical context take a look at the incredible study made by Plataforma Recorridos Ciclistas and at Inner Ring’s useful table from its analysis), and some terribly planned sequences. As already announced on January, the Grande Boucle 2019 will start with a wide tour around Bruxelles, climbing the Kapelmuur and the Bosberg in the first part, some short hills and a 2000 meters easy cobbles sector. The final 35 km are pretty rolling and the last 700 meters have an average gradient of almost 4%, all slightly turning right, it won’t be a plain sprint. The finish will be located in front of the Château de Laeken, official residence of the King of the Belgians. 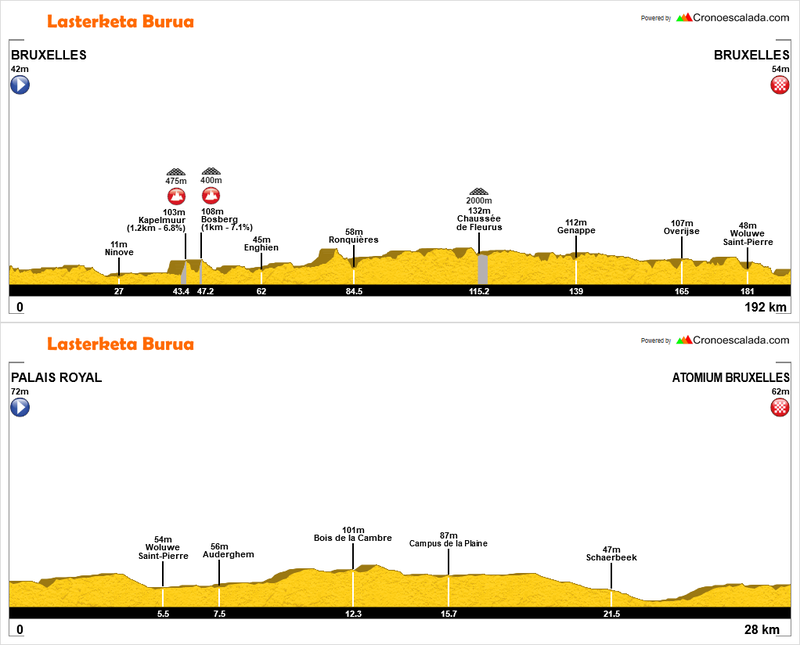 They could have designed a way more interesting route going for some Flemish Ardennes climbs, even without using too much cobbles sections, and putting the Bruine Put near the finish – profile of the alternative, detail of the finale, and interactive map. The following TTT will be almost 30 km long, with a flat and fast route. The gaps shouldn’t be enormous, even the weakest big teams should lose less than 1′. I’m not really a fan of these stages, they favour the strongest teams, that are the ones that should find the race easier to control. They only make sense if really long and flat, to force the teams to decide between climbers and roulers, leaving less helpers for the mountain days, but I still have to say that sometimes they are pretty entertaining. Finish just after the Atomium – interactive map. Day 3 and already a very interesting stage, with a cracking finale. Starting from Binche, in the first part there will be a rolling terrain, but the last 30 km are the ones that really stand out: 4 steep and narrow cotês in the middle of Champagne vineyards that will leave some great pics (just take a look at the Streetview) and that could destroy the peloton. 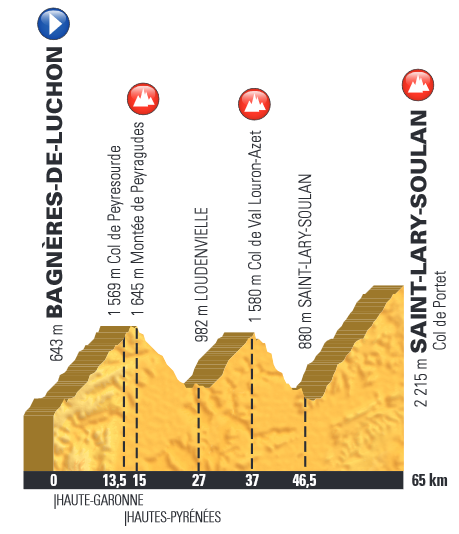 There will be another short climb to the finish, a Saganesque final – interactive map. Nancy’s stage should be one for the sprinters, but the organizers still decided to put a short ascent near the end (the Cotê Maron, with a middle section of 2,1 km at 6,2% average) with less than 15 km to go – interactive map. Nothing exagerated, but a good sign that ASO wants more action even on the days for the fast riders. The first mountains will come already on the 5th day with the Saint-Dié-des-Vosges – Colmar. In the opening kilometers the easy Col de Salees and Cotê de Grendelbruch should see a big fight for the break (at least we can hope so), with the the other three climbs concentrated in the last 70 km – interactive map. 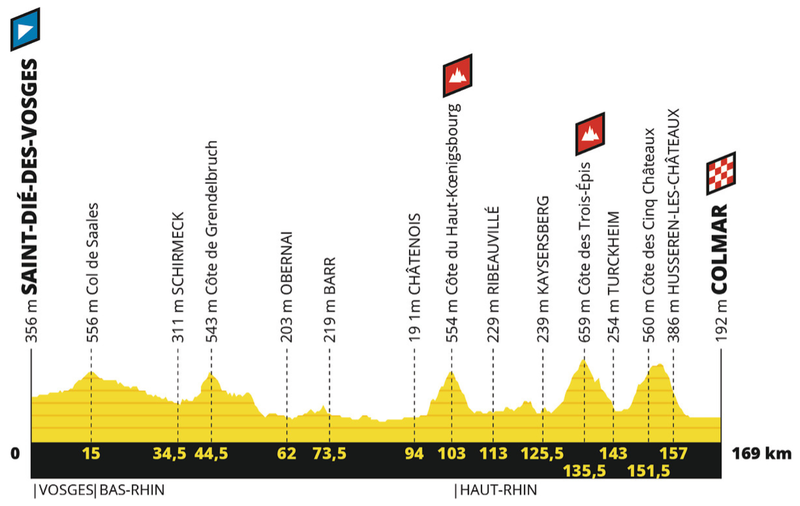 The first climb of the final sequence will be the Cotê de Haut-Kœnigsbourg, just a warm-up before the Trois Epis, the hardest ascent of the three with its central 4 km at 7,5%. The Cotê de Cinq Châteaux will be topped with ~17 km to go. Difficult to see the GC guys on the move, but there should be a great fight for the stage win. They could have done it harder (alternative), but looking at the next days, it makes sense. On the following stage the riders will face the first mountain top finish of the race after a very demanding route, unusual to see so much climbing on the 6th day. ASO will come back to La Planche des Belles Filles for the 4th in the last eight editions (2012 – 2014 – 2017). The first climb of the day will be the Grand Ballon from Le Markstein and there could be again a big fight for the breakaway. Just after the descent there will be the Col du Hundsruck and then the Ballon d’Alsace, an historical ascent for the Tour as it was one of the first col ever climbed in the past, the first time in the Nancy – Besançon in 1905. Talking about history, it was the last climb of the first individual stage win at the Grande Boucle in Merckx’s career in 1969 too – profile of that stage. The final 40 km are pretty much the same of the ones used in 2014, with the Col des Croix and the brutal Col des Chevrères before La Planche des Belles Filles, except for the last km that is a new addition: it will have some very steep gradients (someone says more than 20%) and it will be on a gravel road (photos). It’s a Guillenesque change, it will only push the riders to wait for the final brutal meters – interactive map and official details of the finale. The 7th will be the longest stage of the race with its 230 km and it will be one of the flattest days, usually not a good combo. We have to hope in some wind. Towards Saint-Etienne the organizers presented arguably the best designed route in the whole Tour de France, great medium mountain stage with really few flat section in the last 130 km. The first 40 km will be rolling until the first climb of the day, the Col de la Croix Montmain where there could be a lot of attacks to try to enter in the breakaway. 16 km later the peloton will tackle the harder Col de la Croix de Thiel and immediately after the really steep Col de la Croix Paquet. This very interesting section will be closed by the Côte d’Affoux, it would be perfect to launch some teammates for a later long range attack. The finale segment will be opened by the hard Côte de la Croix de Part with its 4,8 km at 8% average and a steeper section near the top. Even if it is placed far from the finish line (70 km), it would be the perfect point to attack. 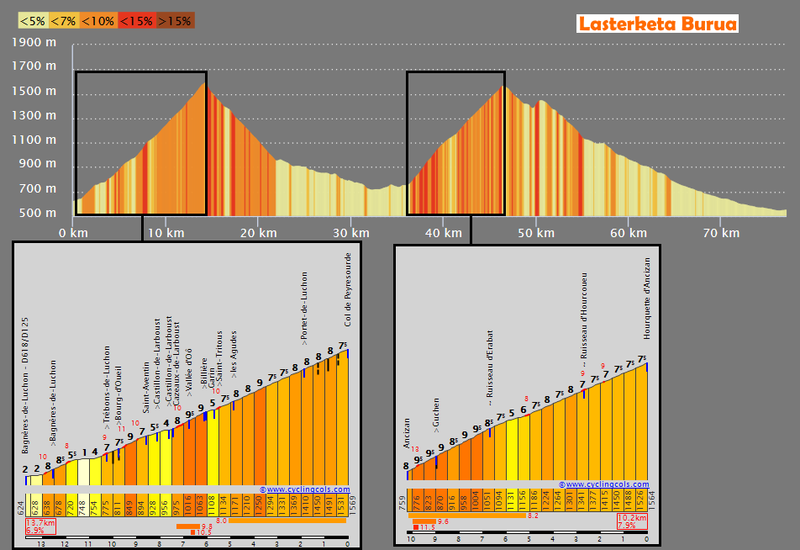 Unfortunately it won’t be easy to see some leaders going crazy there, a long flat ITT in the previous days, where the climbes would have lost a lot of time, would have encouraged them. The following Côte d’Aveize is still a good ascent, while there will be a long false-flat before the short and steep Côte de la Jaillière. It will be topped with 12 km to go and after that there will be only a short bump (700 meters at 7,9%) only 2 km far from the finish. A great finale – interactive map. 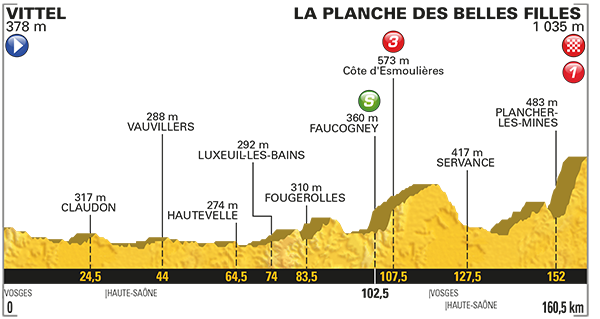 The Saint-Etienne – Brioude is another interesting medium mountain stage, even if it’s a bit the different to the previous one. After a rolling start (it’s always good to put some good terrain there to help the attackers) the riders will have to face the hardest climb of the day, the Mur d’Aurec-sur-Loire. It has some brutally steep sections and if the breakaway won’t be already gone, it could destroy the peloton. There are some easier climbs later until a first passage near Brioude, but nothing serious. 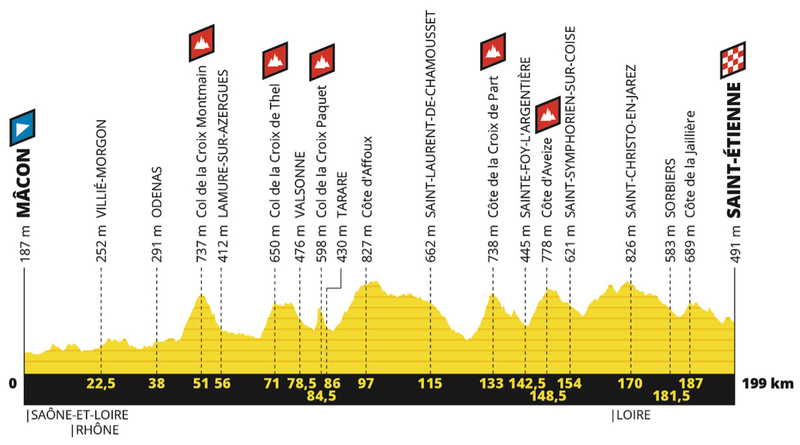 After a flat section the peloton will tackle the last climb of the day with 16 km to go, the Côte de Saint-Just. 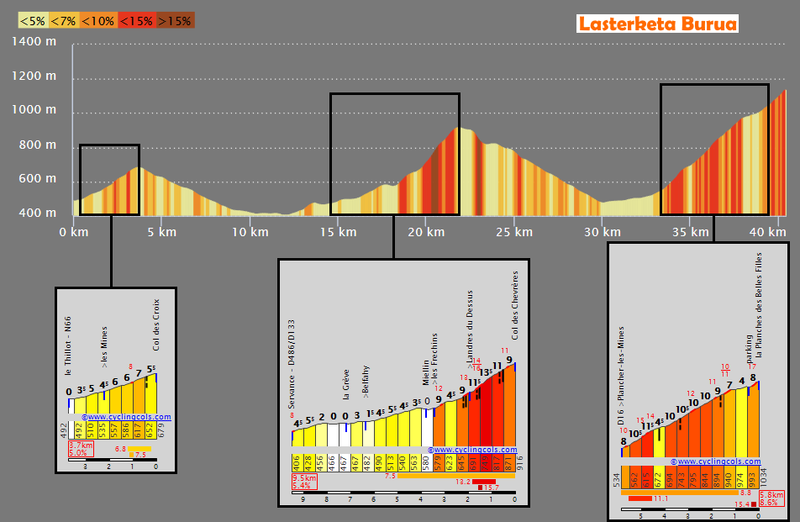 It presents 3,7 km at 7,3% average, but with a pretty steep middle part. The fight for the stage win should be really good, with the climbers that should try to drop the fastest riders like Sagan and Matthews, going then full gas on the descent. The latter will be divided i two halfs by short uphill, perfect launchpad for a finisseur attack. The first week will end in the 10th day of racing, something that hadn’t happened since 2014. It could play a role in the recovery of the riders, especially with these hard ten stages. The last one will be a 218 km route between Saint-Flour and Albi, with ~3000 meters of altitude gain. It won’t have key climbs, but it will be full of hills and it could be really good for the breakaway or for some tough sprinters. The last time the Tour finished in Albi (in 2013 – profile) the Liquigas team did a good forcing on the climbs in the middle of the route to drop the majority of the fastest riders in favour of Peter Sagan, who then won the sprint against Degenkolb. ASO hadn’t published the profile yet, but this should be the route, more or less – interactive map. So, there will be only two clear sprints in the first week, with Nancy finish that should still be good for the most of the sprinters, notable for the Tour, a race that usually has a lot of totally flat stages in the first part. This is arguably the best start of the Tour in years, but unfortunately the following days are not that good. A sprint in Toulouse will open the second week, just before the first stage in the Pyrenees: from the capital of the Occitanie to Bagnères-de-Bigorre, just like in 2008 (profile – video) when Riccò took a mental win attacking on the Aspin, dropping everybody else, and going for the record time ascent… just four days before being popped at the antidoping. 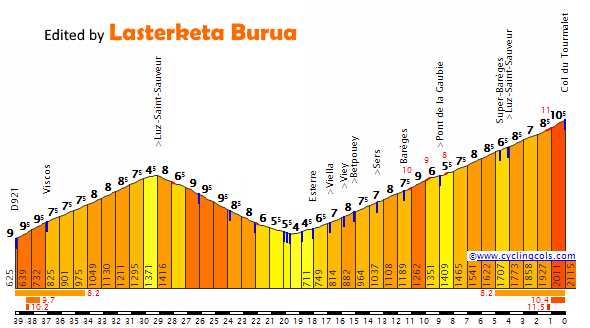 This time they will climb the Hourquette d’Ancizan instead, a climb discovered in 2011 and harder then Aspin. It was used in 2013, the last time the Tour finished in Bagnères-de-Bigorre, a crazy stage (full video). The first part of the stage will be completely flat until Bagnères-de-Luchon, where the classical Peyresourde will start. As showed by Riccò, it’s possible to make the difference and gain time in Bagnères-de-Bigorre, even more with the harder Ancizan, but you need to go full gas without thinking to the next day, that is the only ITT of the race. Not easy to see something like this in today’s cycling unfortuntately. Reduced sprint, late attackers, or breakaway, the fight for the win should still be interesting – interactive map. The Tour de France 2019 will have just 27 km of ITT, a really ridicolous amount if we look back at its history. 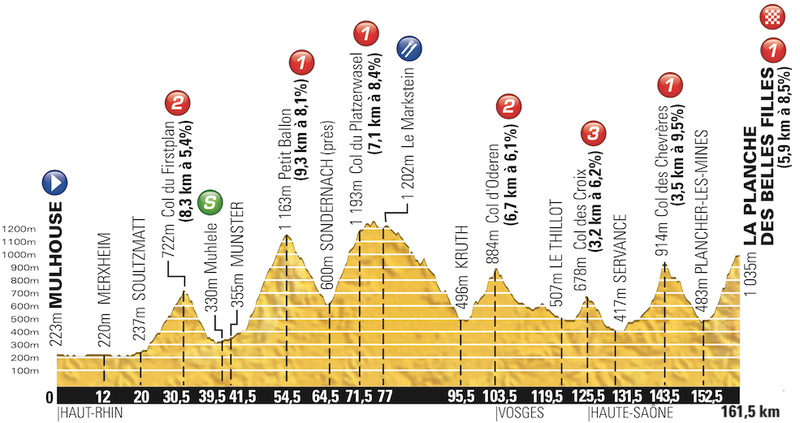 It won’t even be totally flat, as you can see below, with an hilly route in the first part. It’s understandable that ASO fears that with more kilometers against the clock the timetrialist could destroy the opposition, leaving no room in the top 5 to the climbers, above all now that the roulers magically started to drop them even on their terrain, but the organizers must realize that with more flat ITT kilometers the climbing goats would be forced to attack from far, pushing their “heavier” oppenents in a more difficult situation than an all-in on the last ascent. At least they understood that the time trial has to be positioned before the mountains, so that the climbers must face the real gaps they have to recover and ride consequently, not waiting for a hypotetical super performance in the future. Still, it’s not enough – interactive map. 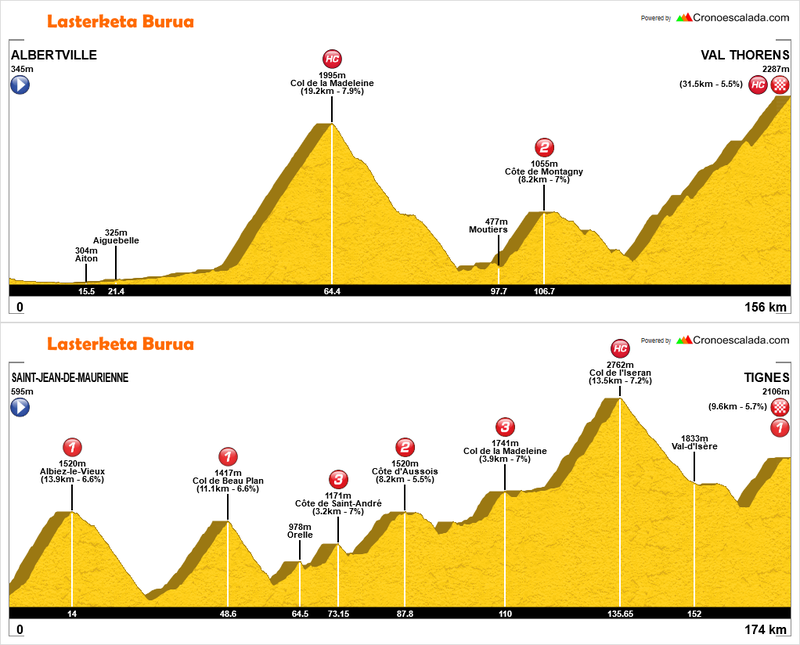 The Tarbes – Tourmalet will be the first of the three mini-stages of this year’s Grande Boucle, way too much. As I said more and more times, the maximum should be 1 or 2 per GT, and they should be designed properly: you can’t finish at the top of the hardest climb of the day, it’s just pointless as confirmed by 2018’s 65 km stage that ended on the Col de Portet: everybody high on GC waited for it, as obvious. 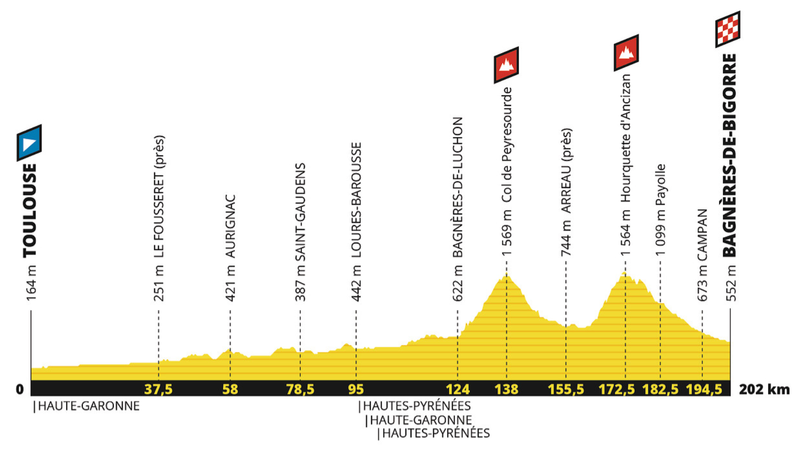 The Tour will finish at the top of the legendary Tourmalet for the third time in its history after 1974 (profile) and 2010 (profile – video), always climbing it from Luz-Saint-Sauveur’s side. The final will be identical to 2010’s stage, with Soulor before, but that one had 174 km and Marie-Blanque too. No one will try his luck on the penultimate ascent, so, as said, it’s pointless to design such a short route. As Andy Schleck showed, it’s possible to open huge gaps on the last terrible climb, I hope the riders will attack fearless. It would have been incredibly easy to present a better route: keeping the short length, it would have been enough to add Gaborisse (already used in Route du Sud 2017’s queen stage) just before Luz-Saint-Sauveur, forming a perfect pair with the Tourmalet – detailed profile. 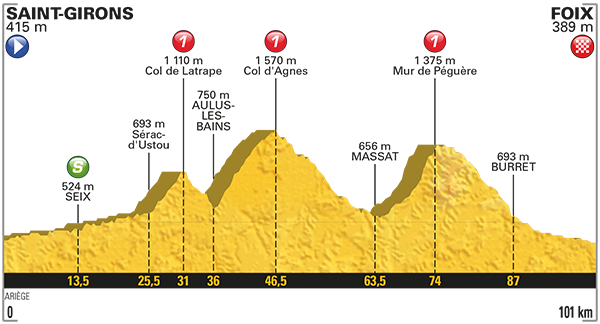 The Pyrenean block will end with the Limoux – Prat d’Albis, an interesting stage, but not incredibly hard. The first part is rolling, I repeat that it’s nice to see ASO giving it attention. The Col de Montségur is the first GPM of the day, there could still be attacks to enter the morning breakaway. 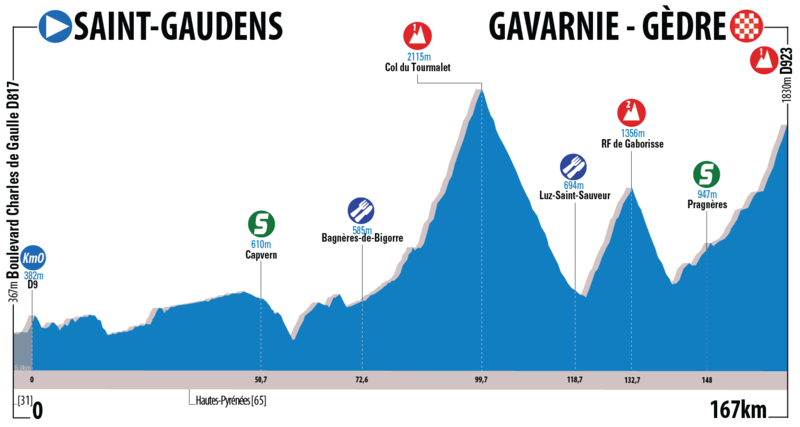 The Port de Lers will open the final sequence, but it will probably be just a warm-up before the brutal Mur de Péguère, that will be climbed for the third time in the last eight editions (2012 and 2017 before). It’s a bit surprising that it only made his debut in Tour de France’s route in 2012 after that the organizers already tried to use it in 1973… but the riders protested for its dangerous descent, so they had to cancel it – profile of the proposed stage. For the first time the stage with Péguère won’t end in the city of Foix, but just above of it, on Prat d’Albis. 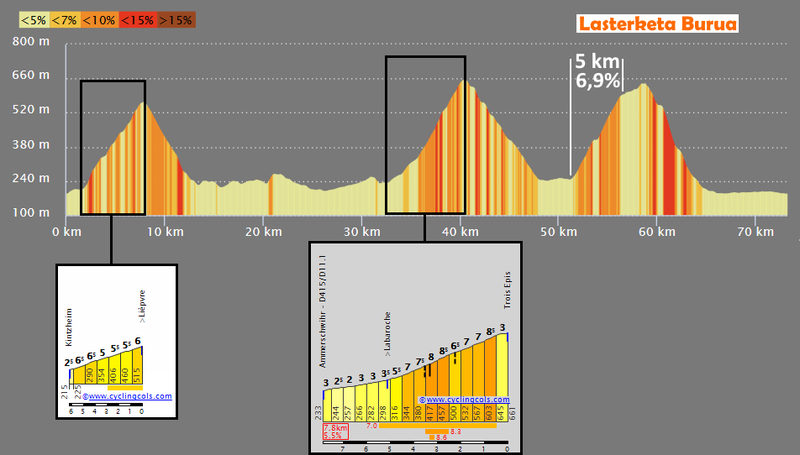 Of its 11,8 km at 6,9% average, the hardest part comes in the middle, with some really steep sections. If the favourites will attack there, there could be interesting gaps at the finish. This is arguably on the best and only option to attack from far in the whole route (on the Mur), but we have to hope the ITT will open real gaps – interactive map. The third week will begin with an odd flat loop stage around Nîmes, something that is really unusual for the last part of the race. 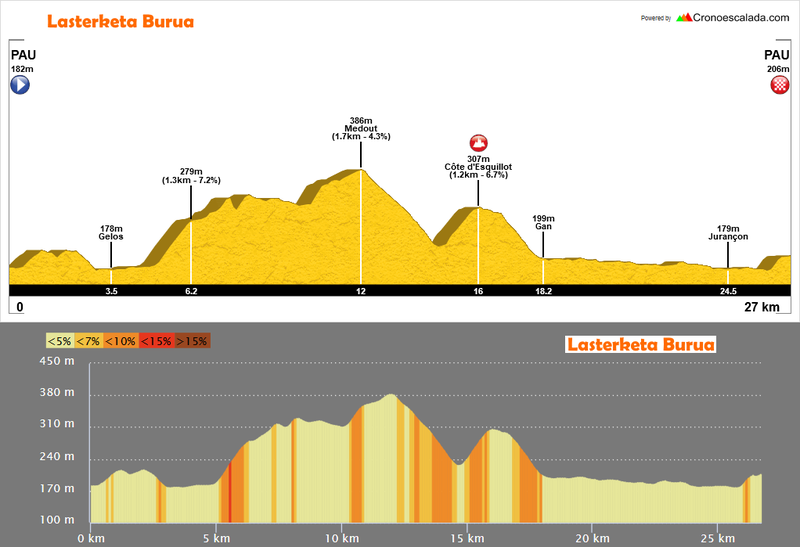 Again, it won’t be completely plain, it will have some hills, the last one (2,6 km at 3,9%) near the end – interactive map of the possible route. Still, it will be almost surely a bunch sprint. 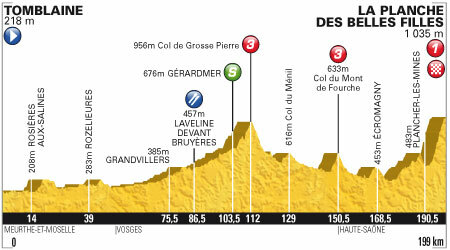 The peloton will finally approach the Alps with the 206 km between Pont du Gard and Gap, a common finish for the Tour. For the first time since 2006, the organizers decided to use the Col de la Sentinelle as last ascent of the day, after preferring the Col de Manse and its crazy descent in 2010, 2011, 2013, and 2015. 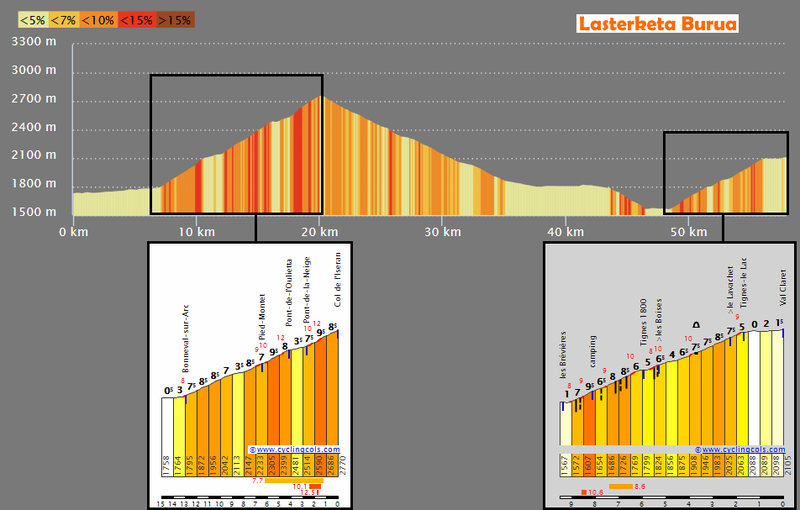 The climb isn’t hard (5,2 km at 5,6%) and the way down is not technical, but it could still be an interesting finale with the GPM that will be topped with only ~12 km to go. 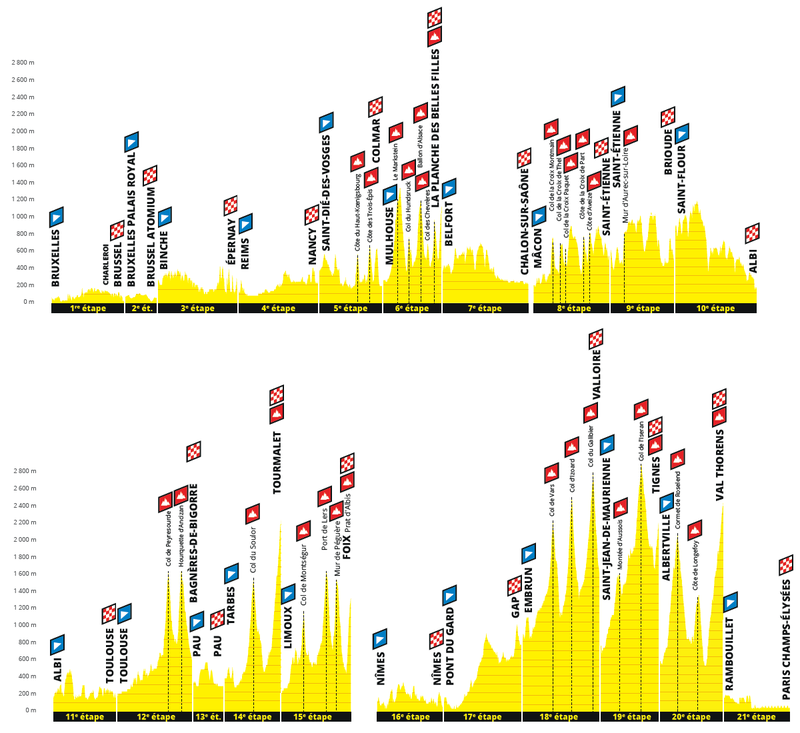 It should be a reduced sprint or, more probably, a breakaway day – interactive map. The Alps will start with the best mountain stage of this year’s Grande Boucle: 207 km and three legendary cols (one 1° Cat and two HC). Such a shame it will open the decisive three-days instead of closing it, because it would have been the best route to attack from far. The first climb of the stage will be the Côte des Demoiselles Coiffées, an easy 3° category, but still a launchpad for some attackers. The Col de Vars will mark the beginning the final sequence, it has some really hard last 5 km, but nothing should happen there. 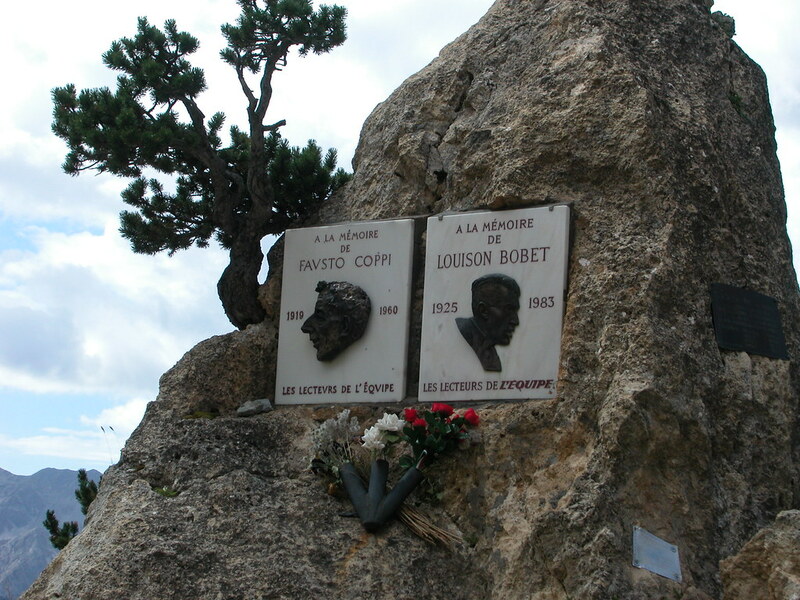 The key point of the route will be the Col d’Izoard, one of my favourite climbs with its spectacular Casse Déserte and a memorial to Fausto Coppi and Louison Bobet at the top. It’s said that the champions have to pass alone there, but you really need panache and a some good tactics to try your luck there in such a stage. Except for the descent to Valloire, the final is almost identical to the one where Andy Schleck took his greatest win back in 2011 (profile – video), showing both of them. The long false-flat of the Lautaret could destroy dreams, but with a helper you could even gain time over the peloton, as showed by the Luxembourger with his teammate Monfort. After the crossroad to Galibier, the road become a bit steeper, but only the last kilometer is really hard. The high altitude could play a big role, three long climb over 2100 meters aren’t common in today’s cycling. The descent to Valloire will be extremely fast and the first 8 km are pretty technical too. I really like the downhill finishes because in my opinion they force the climbers to attack from further down because they have to open bigger gaps to win the stage – interactive map. In the following day the Tour will finally rediscover the North side of the Col de l’Iseran 56 years after the last time. It has been used only three times in the Tour’s history: 1949, 1959, and 1963 – profiles. 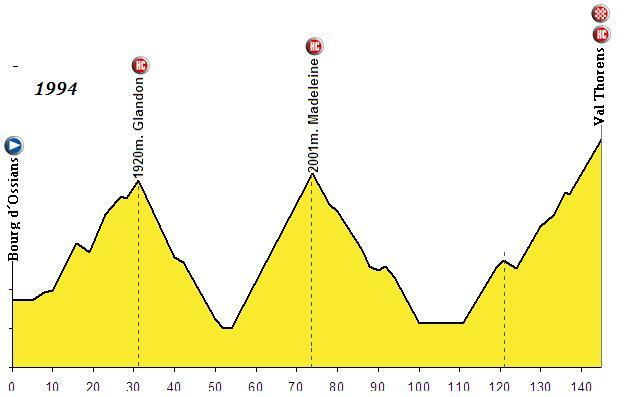 The first 70 km are really disappointing, it’s just nonsense to make this a 123 km stage with this first part: the short routes can be interesting because sometimes the leaders go all guns blazing from the first climb, but this time there will be only the Côte d’Aussois, most probably not enough to encourage some crazy attacks. This is just silly route planification. 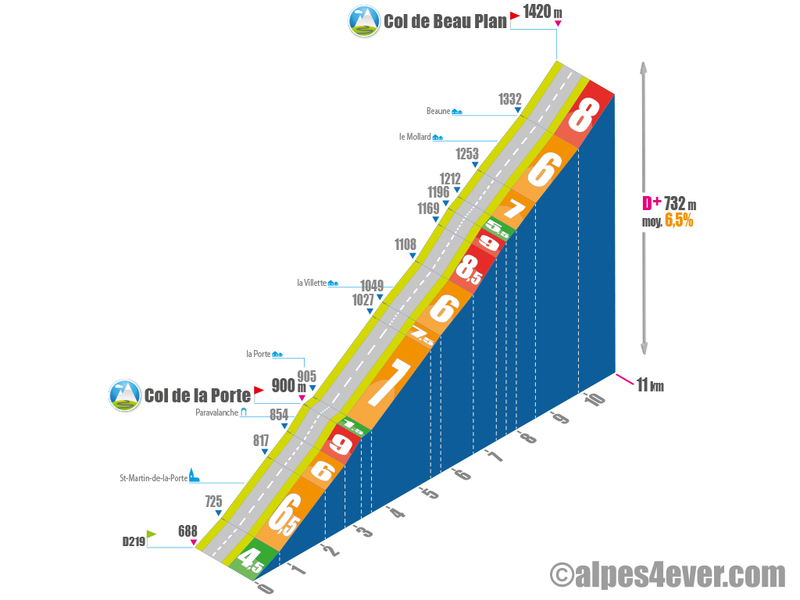 It would have been way better to put at least the Col de Beau Plan in the first 20 km, adding then the steep hills of Orelle and Côte de Saint-André between it and the Aussois – profile of the proposal. 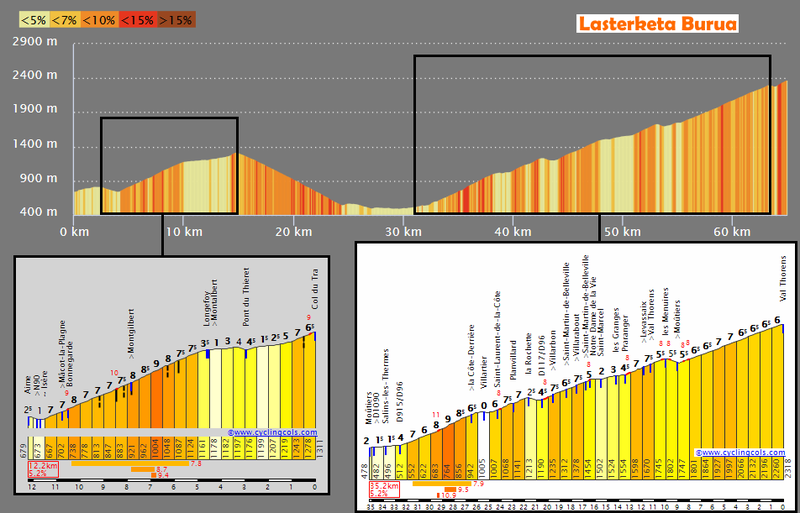 The Iseran is simply a majestic climb: it seems crazy to think that after the riders will hit the 2000 meters of altitude, they will still have to climb for more than 10 km. This factor could play a really important role after 19 stages, some engines could just explode there. It’s divided in three sections, all with good gradients. 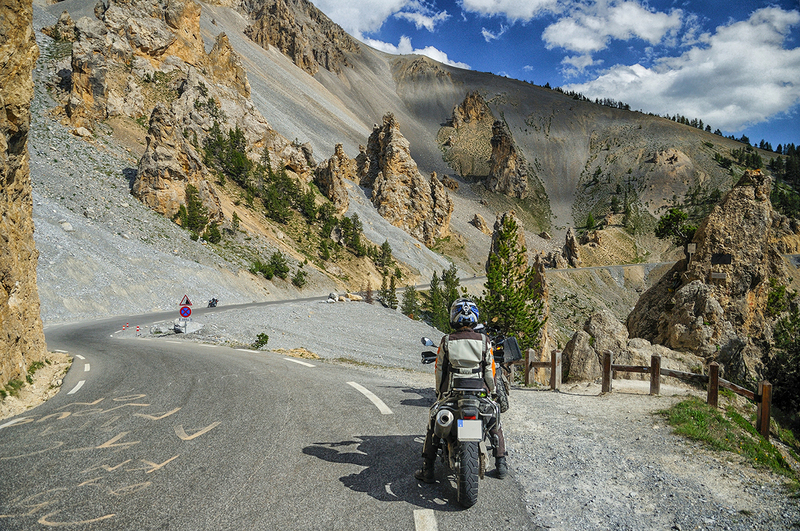 The descent to Val-d’Isère is fast and with some technical sections, but on a wide road. On the following false-flat a teammate could be incredibly important, above if on the attack, so it will be key to have someone on the front. 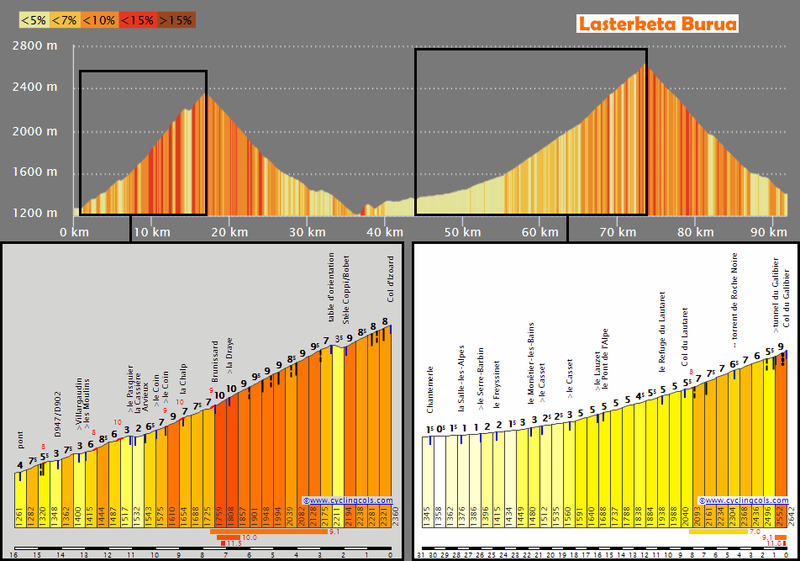 Tignes climb will be approched from a different side, from Les Brévières, a steeper ascent (7,5 km at 6,9%) compared to the one used in 2007, while it will end in the same position, in Val Claret – interactive map. 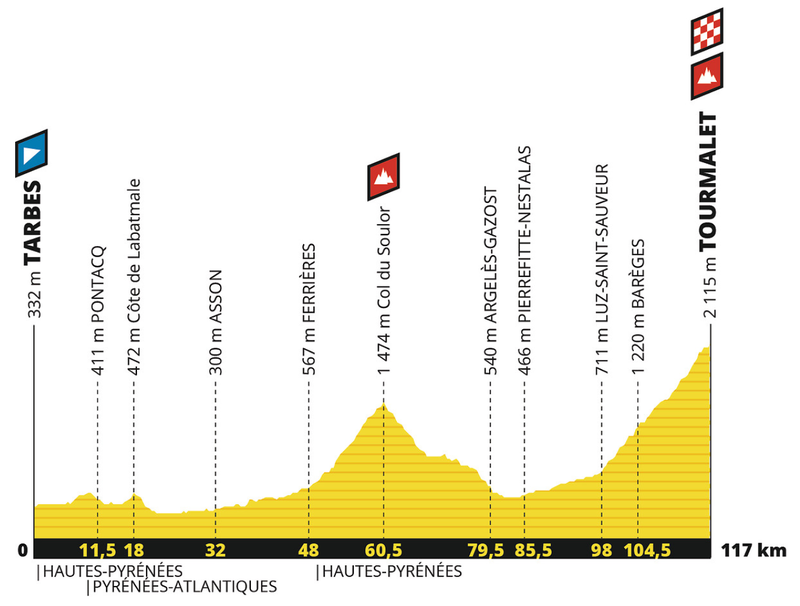 It would have been interesting to come from north, climbing Madeleine, Les Arcs 1800, Montée d’Hauteville, and the steep Saint-Foy-Tarentaise before the final rise to the finish – profile of the alternative. The last mountain stage will be the third with juniors length, ridiculous amount for a GT. 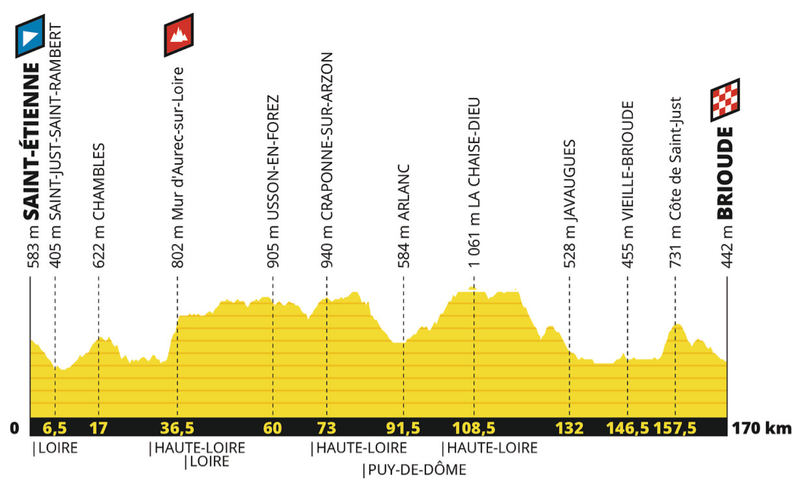 Only 131 km and 3 GPMs to decide who will wear the decisive yellow jersey, just one day before the kermesse in Paris. 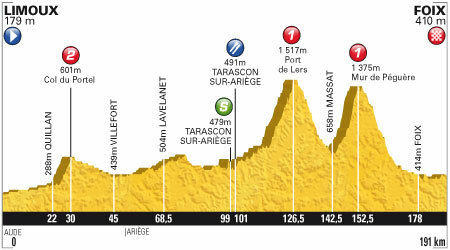 After 16 km the peloton will start the first climb of the day, the long Cormet de Roselend. 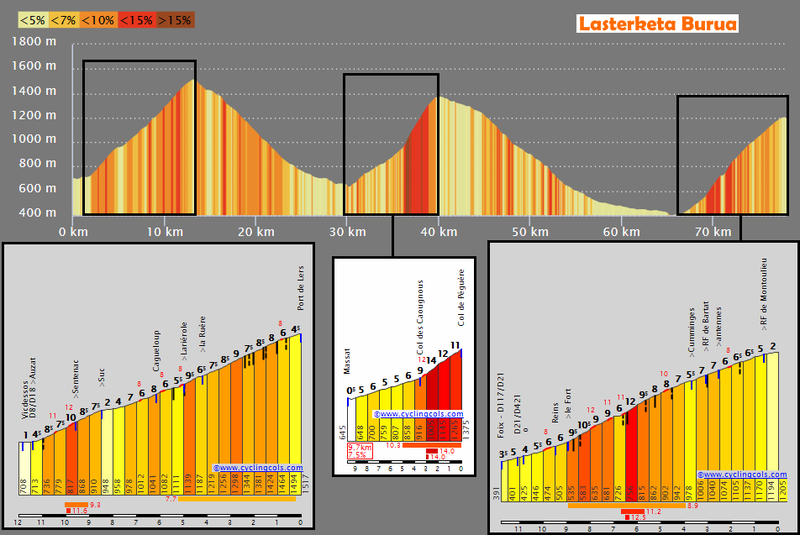 There should be a lot of attacks and ASO will hope the leaders will try it too, but, as said for the Tourmalet, with such a mammoth ascent at the end, it won’t be easy. It’s a bit surprising to see that the organizers didn’t went for the Col du Pré, that made its debut last year, and possibly the Forclaz de Queige before – interactive map of the alternative. After a long descent and the flat section between Bourg-Saint-Maurice and Mâcot, the riders will hit the Col du Tra: a new climb for the Tour, it has an interesting 6,5 km segment at 7,6% average, but the other side is way harder. Difficult to see attacks there, but the descent is really technical, it has plenty of hairpins. Someone like Bardet could try here, above all if wet. The final ascent is brutal for its mental length: more than 33 km, the last 6 above the 2000 meters of altitude. 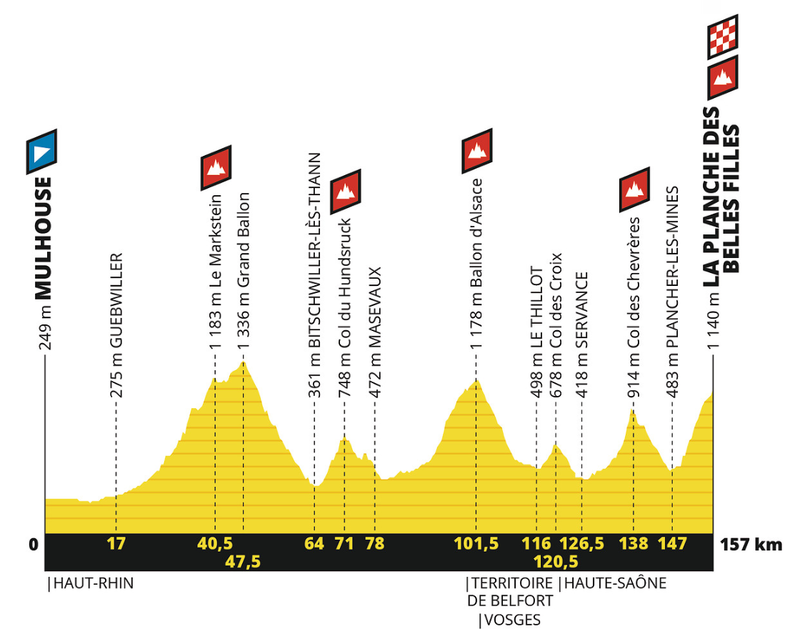 The cyclists will climb to Val Thorens from a different side compared to the one used in 1994 (profile – video) and the finish won’t be same too as they will go a little bit higher – interactive map. On such a demanding mountain on the 20th days of racing, someone could crack badly, but it’s not the perfect way of ending the triptych as it could block the previous days. But this is not the only thing that can be improved: it would have been way better to come from the Madeleine and the Côte de Montagny before Val Thorens in my opinion – profile of the alternative. Trying to reshape the planning of the Alps and keeping the Embrun – Valloire as it is (even if it would have been possible to go for a Embrun – Val Thorens in the first day), the best option would have been to change the order of the last two mountain stages: first the Albertville – Val Thorens, of 156 km, with Madeleine, and Côte de Montagny, and then the Saint-Jean-de-Maurienne – Tignes, with Albiez-le-Vieux and Beau Plan near the start for the long range attacks, Orelle, Côte de Saint-André, and Aussois before the Iseran and the final ascent. With this simple changes the route would have been way better. The classic stage Paris will award the winners and all the finishers, with the competition reduced to a criterium and a royal sprint on the magnificents Champs Elysées. In conclusion, a really good first week (that would have been perfect with some cobbles or dirty roads and a flat ITT) is followed by some bad designed and “light” climbs, with 3 stupid mini-stages. It’s a real shame, it would have been easy to do a better route with simple changes, as I tried to show you. As always, ASO didn’t unveiled the women’s route during the gala, they just said that it will be 5 laps of Pau men’s ITT for a total of 120 km, so La Course will leave the mountains after one of the greatest finale in the whole cycling calendar last year – video, profile. The new route is surely interesting, but the women’s calendar really needs some real mountain days. This parcours would have been perfect as third sector of a three-days stage race, with this sequence: ITT, climbs, and hills, the same of the route we proposed for last year’s edition. We will publish the new proposal soon. I used the editors of cronoescalada, ridewithgps, and openrunner. Thanks for the comment Tycho. Cormet d’Areches’ problem is that it has a long gravel sector on both sides, so it won’t be possible to descend it. It would need to be asphalted.